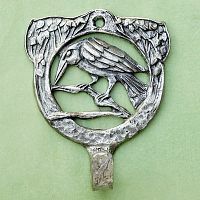 - The Raven's intelligence and lively curiosity have ensured it a prominent place in various mythologies around the globe. Approximately 3" x 2 3/8". Sometimes it's the little details that really bring a room together and create that unique ambience that is just your style. 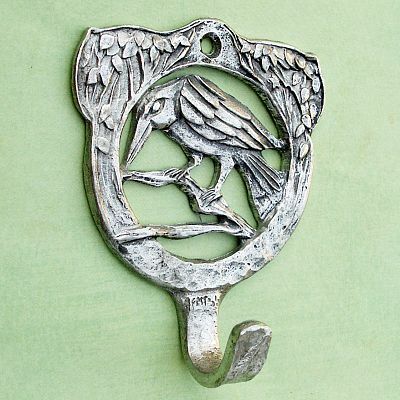 These pewter wall hooks are the perfect finishing touch for your decor. 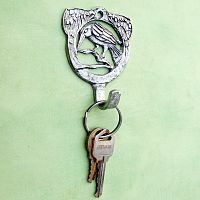 Put a couple by the front door for keys, hats, purses, etc. Use them in the kitchen for dishtowels, pans, or bundles of drying herbs. What uses will you think of? 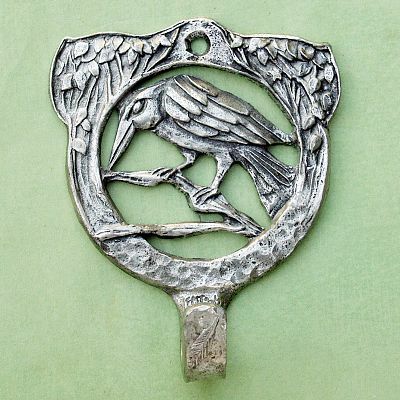 Made of lead-free pewter. 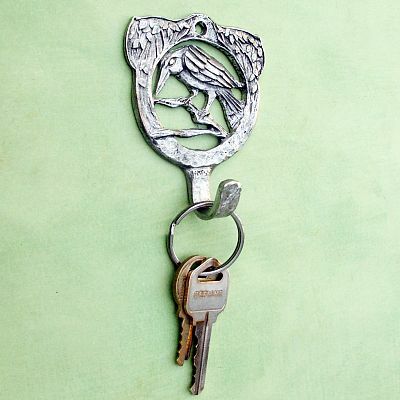 Each hook measures 3" tall, and attaches to the wall with a single screw (included). If you are installing these on drywall, and using them for heavy items, you might want to consider using additional hardware. 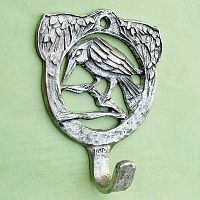 Do you have any other questions about our Raven Wall Hook?